When did monsters become so cute? They became cute when we turned them into iron on monster letters. We have every letter of the alphabet made into an embroidered monster iron on applique and ready to apply to your project. So many letter appliques, so many colors! All of our monster applique letters will fit in a 5x7 area. *Apply the patch with a household iron or sew it on. *All appliques ship in 72hrs. Please see our FAQ section below for more information.We are liquidating our current stock, therefore, are no longer offering color/fabric changes or personalization. All patches will ship as pictured. We do offer Wholesale of 50% off with min order for 20 of the same patch. We also offer bulk order discount of 25% off with a min of 10 patches (these can be mixed and matched). Applique not sticking? There are a couple different reasons this has happened. 1) The fabric has some kind of protector chemical on it that is preventing good adhesion. Remove the patch and wash the garment, once washed repeat the application process again. 3) Pressing time and pressure wasn't long enough or firm enough. Add more pressure and pressing time by 5 -10 increments. Do not worry about over heating. The patch material can tolerate heat up to 500 degree. House hold irons only heat to 450 degrees. How soon can you ship? 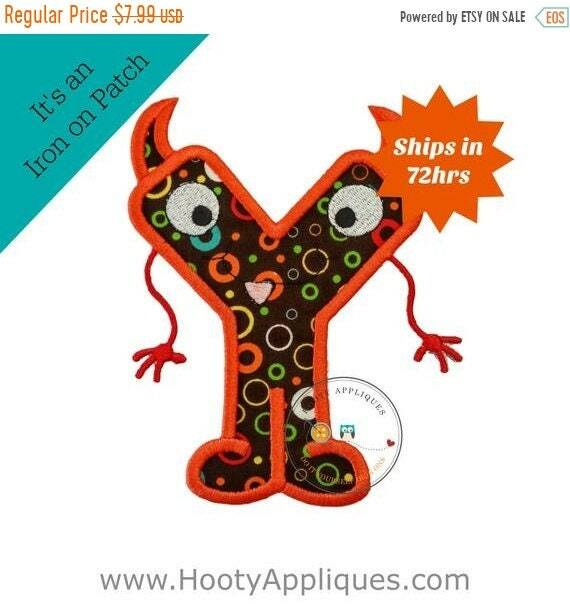 All appliques ship in 1-3 business days. Even with personalization added to the patch. Send us your zip code and we will check with the USPS to get an estimated arrival date. Can you change the color of this? Most of the time yes, we can. Please message us before purchasing so that we can make sure we have the colors you need. We will then set up a separate listing for your custom patch that you will use to make your purchase. Can you make this smaller or larger? Yes, let us know what size you need before making your purchase. We will set up a different listing for the new size patch to be used for purchase. The application is a breeze. The applique backing comes slightly tacky allowing you to position and re-position until placement is exactly where you want it. The tacky backing is strong enough to hold that you can pick up and move the garment without worry of losing that perfect placement. Once you have the applique in place press the applique with your household iron to activate the permanent glue. Give the patch time set by letting it cool completely before wearing. Our appliques can also be sewn on. The glue used won't cause any gumming on the needle once it has had heat applied to it and it has cooled. Can you do custom designed appliques? I'm sorry we are not able to offer completely custom patches at this time. You are more than welcome to message us to see if we already have something you need. It is possible that we don't have it listed in the shop at that moment. We offer two options for shipping. First class and priority. Both are available for domestic and international shipping during check out at the time of purchase via drop down boxes. Are you offering any sales right now?